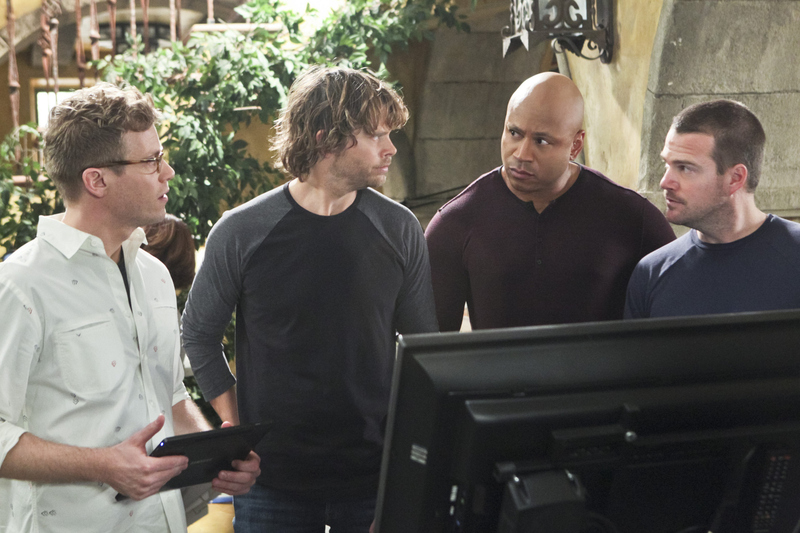 Pictured: Barrett Foa (Tech Operator Eric Beale), Eric Christian Olsen (LAPD Liaison Marty Deeks), LL COOL J (Special Agent Sam Hanna) and Chris O'Donnell (Special Agent G. Callen). When an undercover agent is identified and executed by a local gang, the NCIS: Los Angeles team must locate the mole before other agents’ lives are put in danger. Meanwhile, Granger begins to worry when Kensi disappears in Afghanistan, on NCIS: LOS ANGELES, Tuesday, March 18 (9:00-10:01 PM, ET/PT) on the CBS Television Network. Photo: Monty Brinton/CBS ©2014 CBS Broadcasting, Inc. All Rights Reserved.